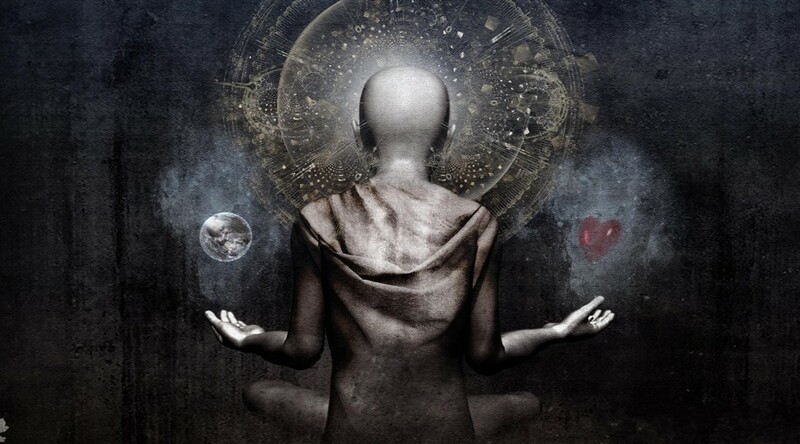 10 Insane Reasons Why You Are Not Able To Meditate? As humans, we are vexed with stress. We hear about the meditation and its promise of peace and we are naturally drawn to meditate. We sit down on the couch and notice that the mind is a rumbling chattering of clashing thoughts, an expression of the stress we are trying to escape. We notice that the rumbling goes on and on, and we want to quiet it down. You see, meditation is the noticing, not the quieting. You might have observed that whenever we start meditation ,our mind keeps wandering no matter how good you are at meditation.One may find it very hard to meditate because the mind keeps wondering.This restless wandering of mind is called Vikshepa in Sanskrit. This obstacle appears when the mind has a preponderance of Rajas(know more about Rajas) nature of mind. After a while the novelty of practicing meditation starts wearing off, and our minds become reluctant to meditate.such reluctance is caused by the natural tendency of the mind to get bored doing same thing over and over again. we must exercise will power to overcome this obstacle. Whether our mind like it or not, we should forcibly persuade our minds to continue doing meditation. While meditation we often find it hard to concentrate on our breath (our object of meditation) because of unwanted thoughts arising in our minds. For instance, if one had an unpleasant argument with another person, the thought of that unpleasant experience might arise in the mind and disturb the practice of meditation.such thoughts can be very frustrating. This is the most common obstacle we always face, we often fall asleep while trying to meditate. This sleep, called Laya in Sanskrit. Meditation is an intense concentration, and if the mind is not under control, it is hard to concentrate. An uncontrolled mind naturally resents being controlled, and when one forcibly tries to concentrate the mind, one falls asleep.This is Laya. Laya is a very restful and refreshing sleep, and those not experienced in meditation may consider it some kind of spiritual experience. It is caused by a temporary preponderance of Tamas guna. During meditation we may suffer from a feeling of intense reluctance to practice meditation. At that time meditation appears to be extremely dry andtasteless. This obstacle is caused by past thoughts lying latent in the mind. No thought is ever lost. All past thoughts are stored in the subconscious level of the mind. They lie there like a seed. Just as every seed retains the characteristics of its plant ,so also these seed thoughts retain the characteristics of their full-blown conscious state. An ordinary person’s body and mind are closely intertwined. If anything happens to the body, the mind becomes affected. When the body becomes diseased, the mind also gets affected. A disturbed mind can’t meditate. Most diseases can be prevented by a healthy life style- a life of moderation.Don’t meditate during illness. Attachment to objects of sense pleasure is a great obstacle in meditation. Such attachment causes the tendency not to give up sense pleasure. We have to wean ourselves away from sensual pleasures to overcome this obstacle. According to Patanjali , meditation on the pure heart of a holy person who has gone beyond attachment to the sense objects can help us to overcome this obstacle, because what we think with great concentration,that we eventually become. Instinctive and obsessive clinging to the body- the unrealistic yearning to perpetuate the existence of the body for long time,if not forever- is calledAbhinivesha. Such clinging is a great obstacle to experiencing the pure- perfect and ever-blissful nature of the soul or Divine self.We should realize the inevitability of death and be mentally prepared for it. We should meditate on it. When mind lacks control and concentration, it can be swayed by fluctuating moods, causing irregular breathing. The practice of rhythmic or regulated breathing under guidance of a component teacher enables us to overcome irregular breathing. Despair is caused by disappointment at not having one’s expectations fulfilled. One should minimize expectations to prevent despair. So guys these are the fundamental obstacles mentioned by Patanjali in our daily practices , have you encountered any strange obstacle please comment and let us know. Chinese medicine is based upon the observation of nature. The Tao, the way of nature,is at the heart of Chinese philosophy with the principle of Yin and Yang at the root of the belief. In the symbol of Tao, we see that black and white aspects are in perfect balance. The fact that the image is a perfect circle really makes absolute sense. The universe runs in circles, creates circles. Our Earth is a sphere, Its orbit of the sun is circular, the galaxy revolves as a circle. The earth rotates on its North-South axis in a circular pattern. Everything spins. “The whole world is just a circle without a beginning, nobody knows where it really ends”. The yin represents the feminine: negative, contraction, water, dark, female, earth, tiger, colour orange. The yang represents the masculine aspects: Positive, expansion, fire, male, heaven, light, dragon, colour azure. But the interesting thing about the Yin and Yang symbol, is that in the centre of each part there is a smaller circle, which is in the opposite colour telling that the world is not just a partition of opposites against each other. Within each the Yin and the Yang there exists the seed of the other. This is absolute observation. When yin becomes thinner, yang becomes stronger. If you look further, you will see there is a white circle in the yang and a black circle in the yin, thus signifying the duality of nature that exists in all forms. The Chinese don’t believe in absolute or ideas: everything is relative,flexible, and ever changing.Within yin, there is yang. within yang there is yin. This is the ever changing phenomenon of all living beings. Cold is seen as yin in nature, but at the extreme of cold, there is heat- as in dry ice which can burn. Conversely, a fever, which is yang, can cause shivering. This is the balance that the body naturally tries to achieve from moment without our effort or awareness. But in illness, this harmony is disrupted.In Chinese medicine, we try to re-establish balance through lifestyle,changes,diet,herbs and acupuncture. Everything in life has opposites: Yin-Yang. The most common yin-yang imbalance is a stress arousal. Stress arousal increases the adrenaline and cortisol levels which suppress the immune system. Stress is misplaced effort and takes away the energy required for healing.That is why we take rest when we have a fever. Ultradian healing response is the second major yin-yang imbalance. Every 90 to 120 minutes, our mind-body goes through the period of daydream or slowing called ‘Ultradian healing response’. If we artificially keep perked up with coffee,cigarette, or workaholic , we are neglecting our healing cycle. Meditation,daydreaming,healthy snacks, or simple quite time allow us to take advantage of this healing cycle.Physical exercise is the yang side of the rest. The ancients believed that what nature is composed of, we are composed of. Each human being is a microscopic part of the macrocosm. We have within us the five elements or phases: earth, metal, water,wood, and fire. Each of these elements has a personality and an internal milieu connected with who we are.No aspects of person functions as an independent, discrete entity. Each physical function is connected to an emotional aspect. Each governs an organ,sensory perception or season. There is an interplay between them that our physical and emotional relationship in balance. We can relate this essence as different concepts those are being used to describe universal eternal energy: Chi, Chakra, Aether, Mana, Magic, Aura, The Force, ext. Though Yin and Yang are different,truly they are not just equal opposites ,but are two of the same. Yin-Yang continuously share each others essence in order to create balance its own positive and negative essences. Our overall universe itself is a yin-yang where everything is connected to this energy as a big system. This system is interconnected by two fundamental forces yin and yang. 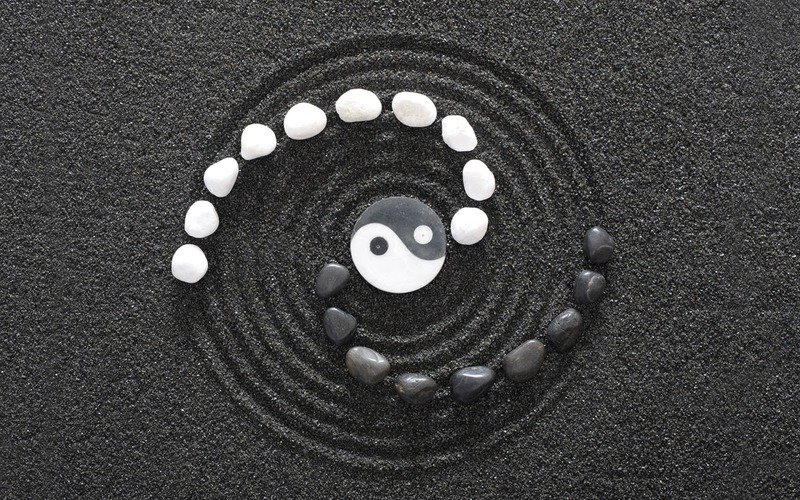 According to legend, the Chinese emperor Fu Hsi (2852-2738 BCE) said that the best state for everything in the universe is a state of harmony represented by a balance of yin and yang.